Here at Two Hearts One Love we strive to satisfy each and every client that we work with! We pride ourselves on the many wonderful reviews and testimonials from our happy clients! Check out what our past clients have to say below! Philip was great to work with from the very beginning! 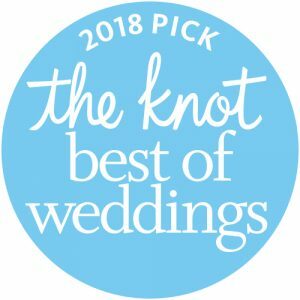 He got back toe immediately when inquiring about his services, and I knew once we met him that he would be the perfect officiant for our wedding! Philip was willing to add in and change a few things to make the wedding personal to us! He was able to keep the seriousness of a wedding while still adding in some humor. 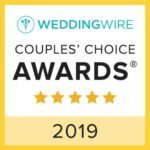 I had many guests come up to me after the ceremony to compliment how great a job he did and how he really kept their interest unlike many wedding ceremonies! I would highly recommend him! On the day of the wedding, Reverend Kathleen did an outstanding job during the ceremony! She incorporated all that we spoke about. There were some surprises as well which had our guests, Lou and me laughing. She was totally right – it flew by! Reverend Kathleen had asked if we booked a band or DJ. We hadn’t and were looking for recommendations. Her husband, Philip Sciscione did both. We booked the two of them as it made so much sense. When we spoke to Philip, he was so down to earth. He liked our music selections and had some great ideas to keep the energy level high during the reception. Once again, we knew that the right choice had been made. Reverend Philip Sciscione handled our October wedding wonderfully! He was very professional, he prepared us quite well, paid close attention to details, and he delivered a ceremony that was just perfect in every way. In our case, we asked him to perform the ceremony jointly with a close friend who is a Deacon. Reverend Phil was just great... he was flexible, very professional, and even a little lighthearted during the ceremony (he injected a small bit of humor that was just right - it made us at ease, but kept the ceremony formal and special). We highly recommend Reverend Phil! Lou and I were married on June 5, 2015. I contacted Reverend Kathleen Spicer and knew immediately that she was the one to marry us. I was impressed with her spirit, personality and enthusiasm. All this over the phone! When we met, she took time to learn about Lou and me, how we met, what our expectations for the ceremony were, etc. There was no doubt that we had made the right decision. My husband and I cannot say enough good things about Rev. Kathleen. We chose to be married outside instead of in a church, and Rev. Kathleen made it such a wonderful experience for us, as well as our guests. Between getting to know her during a meeting at her home, and getting to go over what we were looking for in a ceremony, as well as some wonderful suggestions between our faith and interests, Rev. Kathleen really perfected the ceremony. Our guests still talk about how personal the ceremony was and how nice it was that it just didn't seem like a generic ceremony. I would recommend Rev. Kathleen to anyone getting married. You won't be disappointed! If I could rate Two Hearts One Love higher than 5.0, I would. I cannot say enough about how attentive and kind Rev. Philip was during the wedding to my husband. Not only did Rev. Philip have the flexibility to work with us when our date changed, but he also drove all the way to East Berlin, PA!! Rev. 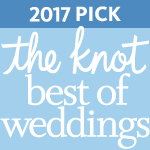 Philip was so helpful and called us to review our ceremony many times to make sure it was exactly what we wanted. I would recommend Two Hearts One Love to anyone!! We used Reverend Kathleen Spicer as the officiant for our wedding ceremony in May 2015 and she was absolutely fantastic. She was a pleasure to work with from the very beginning: easy going, personable, caring and genuine. She was very respectful of our non-religious beliefs and never tried to push hers onto us. She gave each separate questionnaires on our relationship to get to know us better and incorporated our answers into the ceremony, which was lovely - it created an element of surprise and made it quite personalized. She really went above and beyond throughout the whole process... She coordinated her outfit the day of to match the wedding party's attire, attended our wedding rehearsal without hesitation and responded very promptly to any questions or concerns we had. I would highly recommend Rev Kathleen Spicer for your wedding! I promise you won't be disappointed. Reverend Philip was is the one of the best officiants a person could find! We were referred to him from 2 of my good friends who used him for their weddings and were very happy how he performed the ceremony. My husband and I were not really religious and it was nice to find someone that didn't push us into a ceremony that we didn't want to do. He was able to add humor into our ceremony as well which we loved. If you are looking for someone to help you through the whole process Reverend Philip is the person you want for your wedding. Reverend Kathleen officiated our wedding a couple weeks ago, and she made the ceremony an experience that exceeded all expectations! She helped us carefully choose vows that reflected us, our beliefs, and captured the true essence of us as a couple. Everyone in attendance loved her, and we received endless compliments throughout the night about how beautiful her words were. She is a truly special soul, and we consider ourselves fortunate to have had her there for our big day. Reverend Philip was nothing short of phenomenal On out wedding day and everything leading up to that day. He worked with us to pick and customize out wedding to be what we wanted. It rained on our day so our outside ceremony was out of the question. He kept us calm and worked with our vendors to come up with a plan to have it inside the tent. He kept the ceremony light hearted and humorous which is what we asked for! We heard nothing but good comments about him and still do. Reverend Philip was amazing from the start. We are a couple who planned our wedding out of town and not once were we nervous about the ceremony. The entire time he responded quickly, made us feel very comfortable and was professional. Our ceremony was exactly what we wanted and fit us perfectly! The guest raved about him as well as the ceremony. 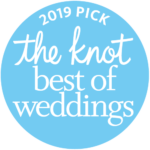 If you would like a special ceremony that fits you and your husband, is affordable, and makes you comfortable from day one - We highly recommend you choose Reverend Philip!! I cannot say enough good things about Rev. Phillip! From the moment I spoke to him on the phone, I felt at ease and knew he was the officiant for my husband and my wedding. Not only was he flexible when we had to change our date, but he seemed sincerely invested in our day and our relationship. He was funny, polite, tactful, and my family loved him. He traveled from the Philadelphia area to East Berlin, PA for our wedding. We spoke many times on the phone to work out our ceremony as we are about 1.5 hours away from Philly. Rev. Phillip was able to balance our need for religious and spiritual aspects of our ceremony, and was very willing to tweak everything to our liking. I loved working with Rev. Phillip and his wife and would suggest him to ANYONE! Rev. Philip was great. I was planning a long distant wedding and had to book an officiant without being able to meet him in person before the ceremony. Rev. Philip was able to accommodate us. When it came to the ceremony, he was still able to make it personal. It was perfect and he did everything we asked. My wife and I found Two Hearts' business card upon chance and decided to schedule time to meet Reverend Kathleen. She was great in helping us determine the type of ceremony that fit our style and personalities. Reverend Kathleen performed our wedding ceremony at her home in her beautiful backyard. She was accommodating to our small number of guests as well. We decided to have a celebration of our marriage at our home later on the year and we were fortunate enough to have Reverend Kathleen come and perform an affirmation of our vows in front of our friends and family. Both our ceremony and affirmation were wonderful! Reverend Phillip was our officiant for our wedding and did an amazing job! We met with many other officiants and pastors during our planning process, but we knew once we met Reverend Phillip that he was the one for us! He always responded in a timely manner, and provided us with any guidance we needed. Reverend Phillip helped make our day special, and we would recommend him to anyone looking for an officiant. 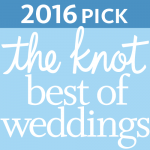 We received many compliments from our guests about our ceremony and our officiant. They said he was able to hold their attention better than any wedding they had ever attended while still making the ceremony as sentimental as it should be. Thank you Reverend Phillip! Planning a wedding can be stressful. That’s what I’ve been told anyway. My experience was quite the opposite. I feel if you choose the right vendor, everything falls into place. This couple is so dynamic!! We couldn’t be happier with the job they did and would recommend them to anyone. Our guests have said nothing but nice things about them as well. Reverend Kathleen and Philip, thank you both so very much! Philip did such an amazing job with the music! Our guests (and Reverend Kathleen) were on the dance floor for the better part of the evening. He played the music we asked for and sang a song or 2 as well. The end of the night came all too soon.